Cooking instruction is second nature for Belton, who has spent almost 30 years teaching the foundation of Louisiana cooking to appreciative audiences. In addition to the almost 7,000 lessons he has led, Belton has also offered classes and cooking demonstrations throughout the U.S. and Canada. He has been a featured chef and guest on numerous food programs including Emeril Live; Ready Set Cook; Life, Love, and Lunch; Food Fighters; and Taste of America. In 1999, he was co-host and chef on the BBC series Big Kevin, Little Kevin, which also featured British celebrity chef Kevin Woodford. The series, taped in the United Kingdom and the U.S., aired in Europe, Australia, New Zealand and Asia. A companion cookbook co-authored by Belton, “Big Kevin, Little Kevin-Over 120 Recipes from around Britain and America by TV’s Odd Couple,” was published by Ebury Press. In 2014, he was recognized as one of the top twenty Louisiana chefs by the American Culinary Federation.In his public television debut Belton wants to pull back the curtain and show viewers what really makes the legendary cuisine of New Orleans so delicious. “Everybody says you make it look so easy,” he says. 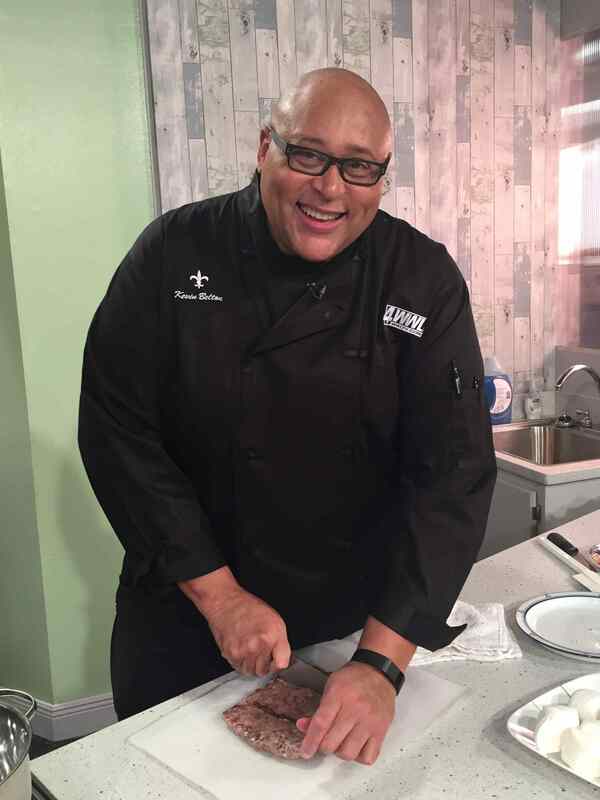 “I tell them, no, it is easy.” Taped in the studios of WYES-TV, NEW ORLEANS COOKING WITH KEVIN BELTON is a chance for viewers to meet a new APT host whose big personality is a perfect match for his 6’ 9” frame. Kevin is also in the process of filming his second series with WYES, KEVIN BELTON'S NEW ORLEANS KITCHEN as well as writing the companion book.